Monster Blue got some updates yesterday. Permobil makes excellent chairs. Unfortunately, they had to “dumb” them down in order to meet the Medicaid/Medicare requirements. So things that normally are nice and sturdy were made cheaper and not as sturdy. 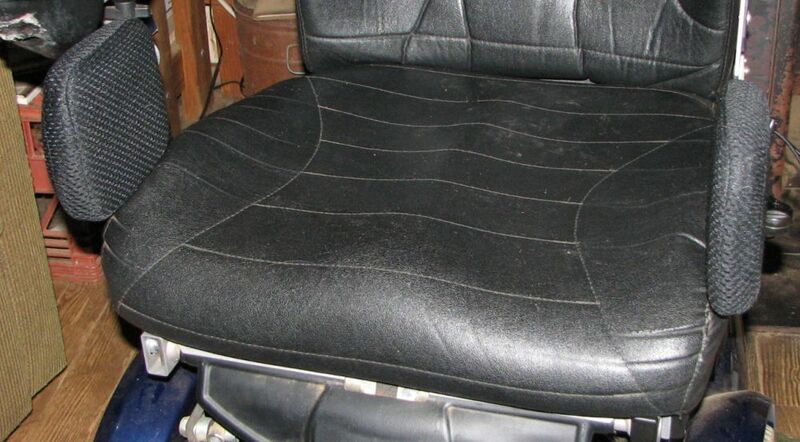 The best example are the armrests. Cheap plastic with metal only going part way. Which means when a user pushes down on the armrests to transfer, the stress is on the plastic. Mine broke within just a few months. The pad was a cardboard backed, foam covered barely in place thing. I lost one on the way to Atlanta for my first GCLS con. 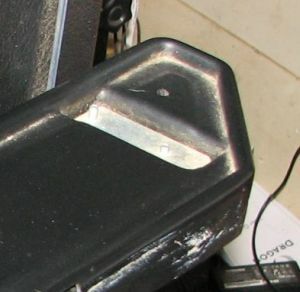 The new armrests have metal all the way out and, better yet, are universal. Meaning one can go on either side. The other ones were side-dependent. I also got some thigh pads. This will help keep my legs aligned and look less like a harlot with my legs spread. 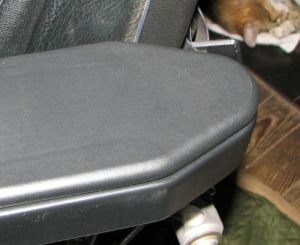 The thigh pads fit into a doohickey called a Unitrack. 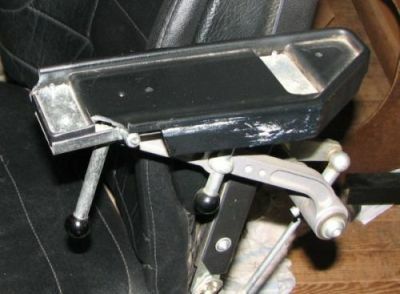 Permobil developed this to use to attach various doohickeys to the chair. 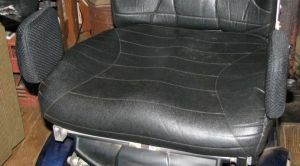 This includes the pads, transfer handles, and even a lap tray. I’m still having internet problems. I am at the laundromat right now with the fastest upload/connection speed I’ve had in weeks. One last call to Charter today and it’ll be fixed, one way or the other. While at the GCLS con, I was asked several times about why I use a wheelchair. I don’t mind people asking, it just shows me they are comfortable enough with me to ask. So I came up with a page over on the main site that answers that question. I hope. If anyone has any questions, feel free to ask! My push to write has ground to a halt. Bits and pieces of flotsam and jetsam have jammed my gears. It is irritating. Meanwhile, I’ve read some truly awful books (with poor editing and copy editing, too!) and while I know I can do better than that, I just can’t seem to get it going. I did have some flashes of inspiration and wrote out several two page somethings. One was very very weird. Weirder than my normal weird. I deleted it. The other two I saved. Maybe some day, if you are nice, I might share. Don’t hold yer breath though. I still can’t just let myself go and write whatever comes off the tips of my fingers as they bang the keys. The three short stories (more like flash fiction) kinda helped, but I can’t seem to do it on the current WIPs. Very frustrating. I hurt my back today. I bent over. Silly of me, I know. My shoulder is killing me, too. When Fay was giving us the much needed rain, I was drugged to keep the pain at bay or at least to a dull roar. Monster Blue is still at the repair shop. Come to find out, the monkeys in Charlotte had freakin’ unplugged everything underneath. They’d opened the battery compartment and unplugged everything. Since I’d had trouble with it before that, I didn’t think to actually look. 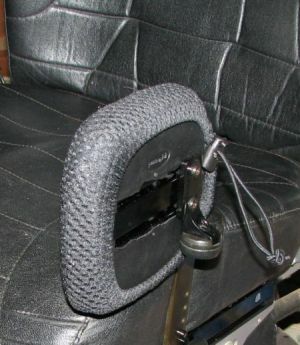 But while Mobility Concepts had the thing, they did some upgrading for safety reasons. 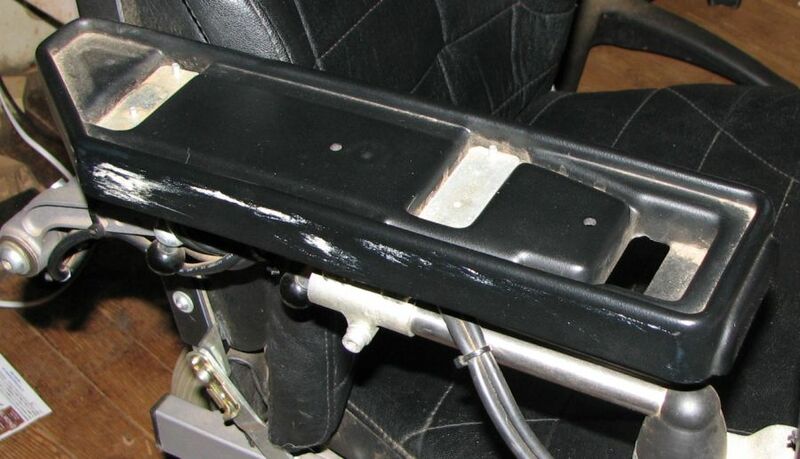 I had a busted armrest (damn flimsy plastic on a place where people put their weight to transfer) and was missing both armrest pads (one blew off on the way to Atlanta three years ago). I can go get Blue at any time while they wait for the parts. And I can, now, since Lorna finally got her car on the road and I have My Truck back. At any rate, there ya go.